Before you attempt to sell long-term-care (LTC) insurance, consider examining your own life and plan for your own care. This hands-on experience then provides the confidence needed to approach clients, and points out where the gaps are in your knowledge and planning process. When will I (be able to) retire? Will I be able to afford inevitable uninsured retirement medical expenses? Who will I end up caring for: my parents, my in-laws, my spouse, my friends? Mary is going to use her own eldercare experience to help define her personal LTC plan so she can better understand how to help her clients cope with aging and planning for care. Let’s examine Mary’s six-step process. Mary knows that women live longer, and too often not better, largely because of obesity and arthritis that set in as they age. In a 2009 study by Duke University Medical Center that included 5,888 people 65+, women suffered up to two and a half times more disabilities than men of the same age. Before her research, Mary had never heard of the term Parkinsondiaglaucoma, a word that defines complex chronic illness; nor did she know that one-third of Canadians over the age of 60 suffer from complex chronic illness. Mary’s father suffers from heart disease; more critically, Mary’s mother is in the first stage of Alzheimer’s disease. As a result she has learned that half a million Canadians have Alzheimer’s disease or a related dementia — 71,000 of them under 65. She also learned that 50% more Canadians and their families could be facing Alzheimer’s disease or a related dementia in just five years. Women today make up almost three-quarters of Canadians with Alzheimer’s disease. 2. Assess the risk for women. Mary knows she will end up caring for her own parents because she is the only daughter, with a brother who lives across the country. She has already started helping her parents around the house and taking them to medical appointments. What she does not know is how long she will be involved in caregiving, if she will have to stop working and how badly her income for both now and her retirement will be affected. Since she lives alone, who will be available to help her? Eighty-four per cent whose parents required care in their final years said no plans were made until care was needed. Only 18% of women had talked to their spouse or partner about LTC issues. Mary now knows she will have to work with her female clients carefully to ensure they do the required planning. 3. Go through the planning process. Because of her eldercare experience, Mary has contacted the Alzheimer Society and the Heart and Stroke Foundation for information and support; she also understands how her provincial healthcare system works and whom she needs to contact to arrange home care and long term care when the time comes. 5. Manage personal risk factors. Because she is female, single, self-employed and has a parent with dementia, Mary knows she needs to make some serious decisions about her personal and financial future. She decides to apply for LTC insurance, which together with her critical illness policy, will provide the additional income she needs when her health starts to fail. Mary lives alone, with no immediate family to support her should she become critically or chronically ill. She decides to build a serious network of female friends whose main purpose is to be there for each other to provide care and support when needed. She knows her odds of suffering from dementia are higher than normal. Although there are no drugs yet available to reduce her risk, Mary has learned what is good for her heart is good for her head, and she decides to make some tough lifestyle changes to create her own anti-Alzheimer’s program. She starts a regular vigorous exercise program to help reduce her stress, she sees her doctor for annual check ups, she watches her blood pressure, which is on the high side and ensures that she eats a balanced brain-healthy diet. She knows that an active, stimulated brain will reduce her odds of developing Alzheimer’s, so she sets time aside to learn something new every day, does riddles and plays strategy games. She keeps her brain engaged by taking a new route to work once a week, eating with her other hand (harder than it sounds!) and rearranging her computer desktop. 6. Develop a client education and support strategy. Mary learns which of her clients are facing an eldercare challenge and so will be more willing to start their own care planning process. 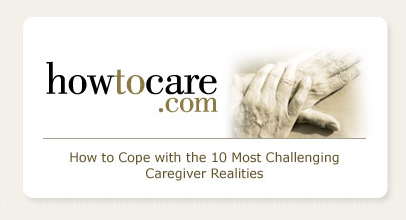 She also partners with a care planning expert to help and support her clients cope through their eldercare challenges. 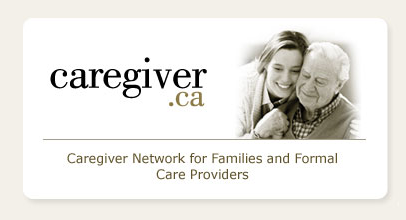 Her new partner will also help her develop a LTC resource library/centre for both her and her clients’ use. Because of her personal care experience, Mary now includes LTC planning in every financial/retirement plan she creates. 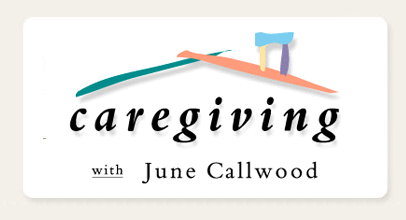 She has started a column in her quarterly client newsletter that is devoted to care planning and is working on a client education event for the fall. Mary faces some tough years ahead as her parents become increasingly more dependent upon her. But she knows millions of other families are going through the same experience. She is turning her personal adversity into an opportunity to help her clients because she realizes that her clients are aging too, her clients have aging parents and long term care is an inevitable life event. Her knowledge and personal experience in this area will add value to her client service.